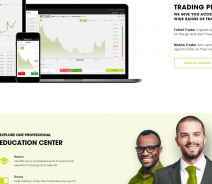 Profit Trade is an unregulated and relatively new Forex, CFD and Crypto broker, established in 2017. The website is owned/operated by Global Top Marketing LTD. On the Contact page, they list the address Trust Company Complex, Ajeltake Road, Ajeltake Island, Majuro, Marshall Islands, MH96960. At the bottom of each page, another company name and address appear. We couldn’t locate any information regarding the relationship between the 2 companies. Also, once logged into the trading platform, yet another company appears on the Deposit page, and the message “This website owned by GPS Marketing Ltd., a Bulgarian Company incorporated under company No. 204950758, having its registered address at Bulgaria”. I believe that in this day and age all brokers should be regulated. If we want to trade Forex, Crypto, CFD on stocks, indices, etc., we have to trust a company, i.e. the “broker” with our money and that broker should be supervised by a financial authority. Too many times we’ve seen poorly-managed complaints, delayed withdrawals and other types of subpar service. Now, I am not saying that Profit Trade will treat you that way, but they are unregulated – just something to consider. They offer a good web-based trading platform – TraderSoft – and an even better desktop (downloadable) platform: Meta Trader 4. On top of all that, they have a pretty extensive education section, which includes 2 Cryptocurrency e-books and a few others focused on Forex and CFD. Is Profit Trade A Scam? We are dealing with an unregulated broker and three company names with an unclear relation. If I have a complaint, should go to Global Top Marketing, to Smartmalls Lts or to GPS Marketing… or maybe I will be bounced back and forth between the three, with each saying I should contact the other? And not a very big deal, but what’s with all the “Marketing” names? I would like to know I am trading/investing with a trading company, not a marketing one. I hope their main knowledge and focus is trading, not marketing. All in all, Profit Trade doesn’t look like a scam but nonetheless, it’s still an unregulated broker that claims to be “The World’s Leading CFD Expert” and we’ve seen that type of “leaders” far too many times. Should I Open An Account With Profit Trade? This is a relatively new broker, launched in 2017 according to their website; however, some online sources list them as first launched in April 2018, so the exact date is not known. Apart from a simple and easy to use a web-based platform, Profit Trade offers the popular Meta Trader 4, which opens up a lot more technical analysis features. The account structure could use some work, mainly because the monetary requirements are very steep: the lowest account (Educational) requires a minimum deposit of $250, which is average for the industry, but from here on it all goes downhill (or should I say uphill) because if you want to have another type of account, you really need deep pockets. The next account – Standard – requires a minimum deposit if $2,500, the Premium account requires $20,000 and finally the VIP is $50,000. Needless to say that sending that much money to an unlicensed broker is risky and I don’t see why you would do it, especially considering there are many other regulated and well-respected brokers who would be happy to do business with you. Apart from the account types discussed above, they have a Tailored account (you will need to contact an account manager to get more info about minimum deposit) and a Robot account ($5,000), which offers additional robot and algo-trading support. No further information is provided by Profit Trade. Overall this is not a bad offering from Profit Trade but it’s on the steep side and requires too much commitment money-wise without giving much in return. The broker is unregulated and doesn’t have a strong presence online, meaning that it is not a well-known broker. Bottom line, at the moment Profit Trade doesn’t offer enough reasons to invest with them unless you consider the overly used slogan “we are the leader” enough reason. There’s not a ton of complaints about this broker, but the ones we could find are bad (and I mean really bad), ranging from phone call pressure and other aggressive marketing tactics to delayed and even failed withdrawals. Some people even called them “scam” but as always, we cannot attest for the truthfulness of these complaints, we just present you the facts. Premium accounts (minimum deposit $20,000) can benefit from bonuses up to 100% of deposit and VIP accounts ($50,000 minimum) can benefit from bonuses up to 200%. We couldn’t locate a full list of bonus terms and conditions but we recommend you avoid such high bonuses because they will most likely tie your money to the platform until a certain trading volume is reached. Information about withdrawals lacks almost completely and all they say is “Profit-Trade works with many local banks. You can view a complete list of banks within your account area and choose whichever one is best suited for you.” Although we have created a real account for the purpose of this review, we couldn’t find any bank list in our account area. Deposits are made via cards (Visa, Mastercard), Interkassa and Bitcoin but it’s unclear whether withdrawals work the same way. There’s not much to go on here except for some basic signals (just a list of assets and an arrow next to them, pointing the direction) and some financial news, including crypto assets. At least the news was up to date when we checked, which is good but most news articles were 3 or 4 lines long, so don’t expect to get a deep insight. The website is available in English, Russian, Spanish and Deutsch but the platform is translated only in English, Russian and Spanish. Some information is relatively hard to find but nothing out of the ordinary. The web platform is not too complicated, thus fairly easy to use. Demo accounts and mobile platforms are available. The asset basket at Profit Trade is well balanced, containing currency pairs, stocks, commodities, indices, and everybody’s favourite: cryptocurrencies (Bitcoin, Ripple, Litecoin, Ethereum, Dash, Bitcoin Cash). It’s important to note that the Educational account (min deposit $250) will only give you access to base currencies! If you want to trade the full asset list you will need at least a Premium account – minimum deposit $20,000!!! The spreads are high (3 pips for EUR/USD and about 70 USD for Bitcoin) and the leverage is incredibly high for Bitcoin and other cryptos – 1:100. Other currencies have leverage up to 1:150 and even 1:200 for the higher-tier accounts. Deposits can be made via credit/debit cards (Visa, MasterCard or Diners Club), Interkassa and Bitcoin. Unfortunately, Profit Trade doesn’t offer information about withdrawals. The only thing we could find is that the minimum is 0.01 EUR. It would be a great idea for them to include such information in the future because you know, people would like to know how they can get their money out! There is no fee to open an account (just like everywhere else) but other fees are not specified (withdrawal information is lacking and that’s usually where the fees are). Support was basically useless because I asked if they offer demo accounts and in return, the rep asked me to clarify my question… then he told me that my account manager will give me this information. So, yea useless. High leverage, high spreads, and incredibly high deposit requirements unless you want the lowest account (Educational – $250). But keep in mind, if you go for the lowest account, you will only be able to trade base currencies and you will not have access to crypto, indices, stocks, etc. If you want all that, you will have to cough up $20,000, which is an extra in itself! WARNING! This broker is rated below average among our members and staff. 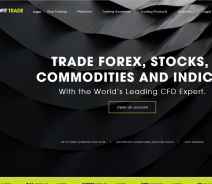 Start your trading career with a Top Rated Broker Now!